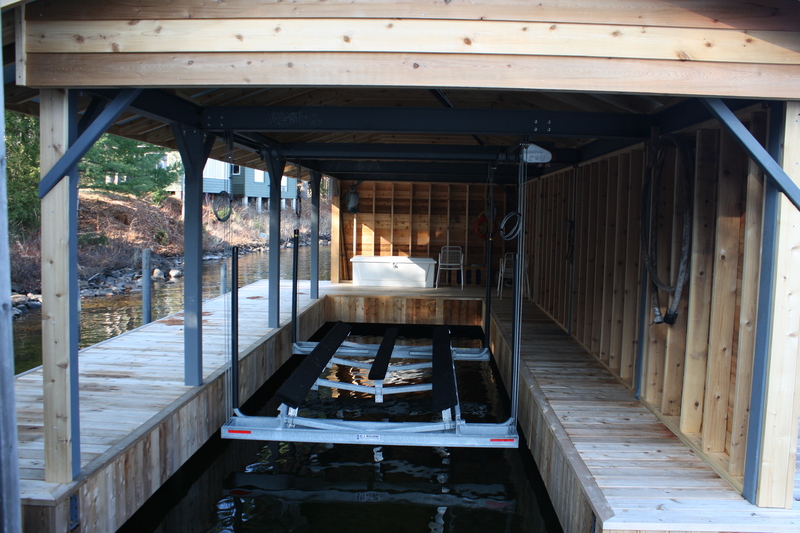 Using our platform-like bed in combination with our full-length bunks makes our system one of the strongest and safest on the market today. 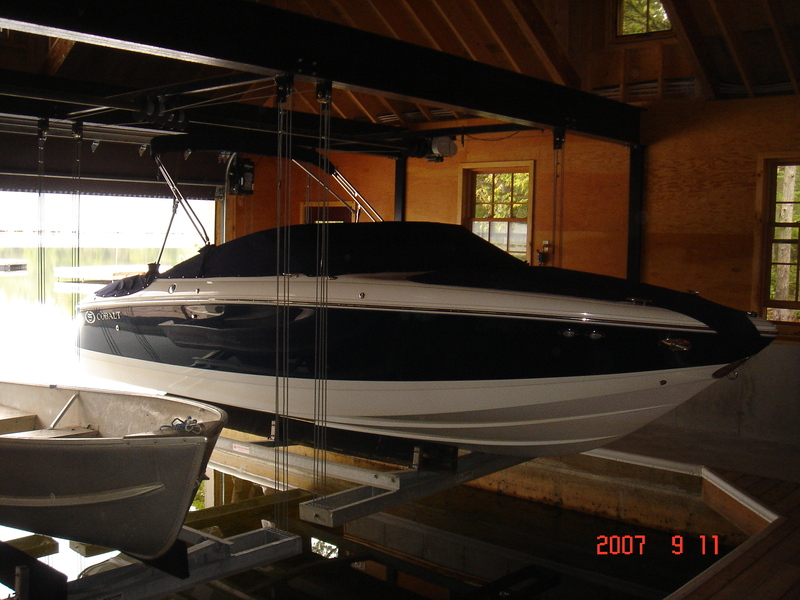 We manufacture the most unique overhead lift systems available. 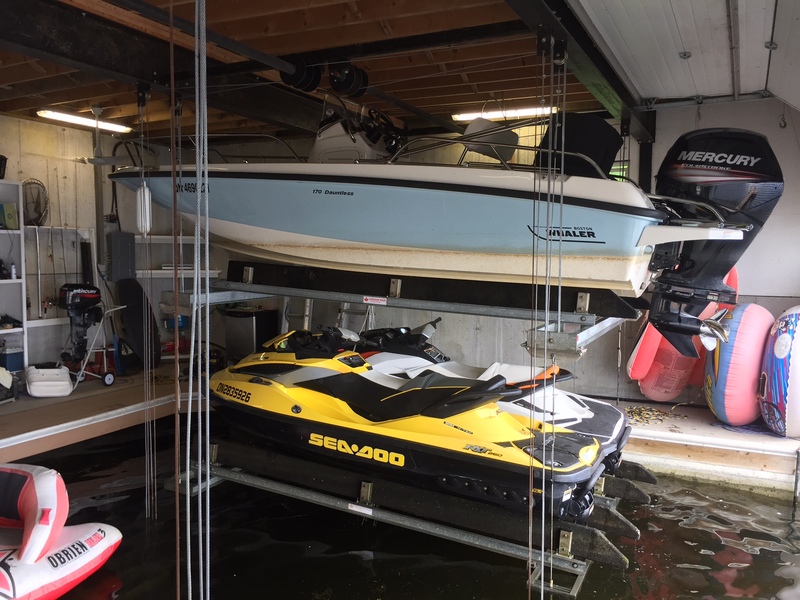 Using our platform-like bed in combination with our full-length bunks makes our system one of the strongest and safest on the market today. 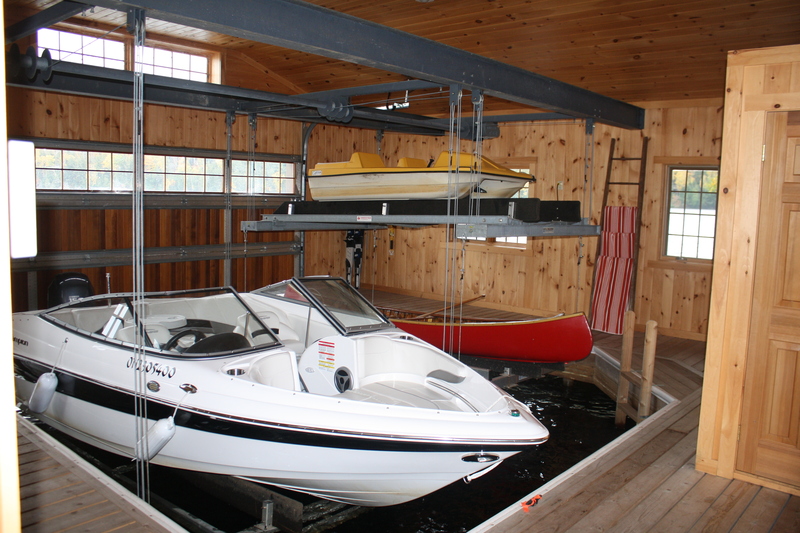 We can either attach to your existing beams, or we can supply a complete lift including necessary steel structure. 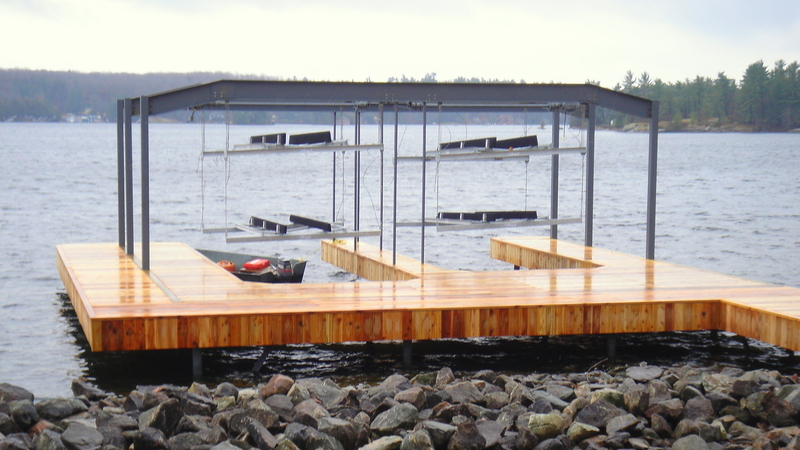 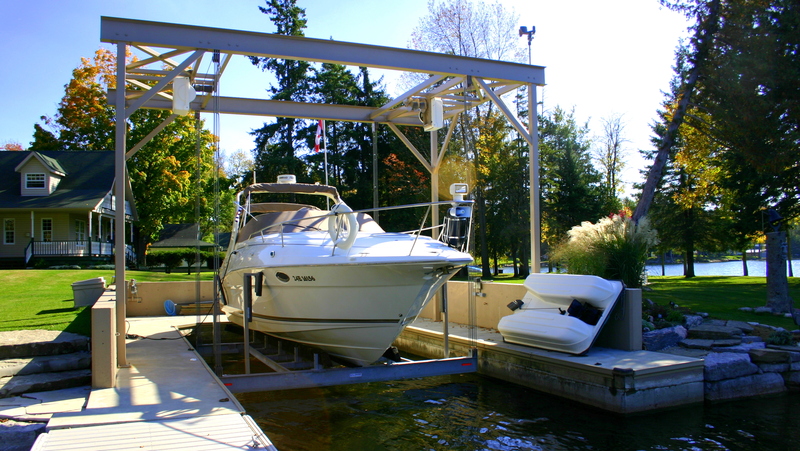 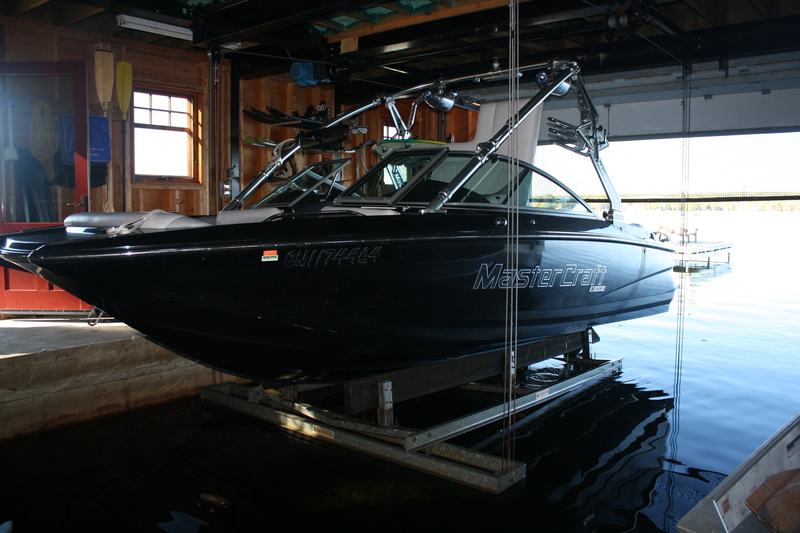 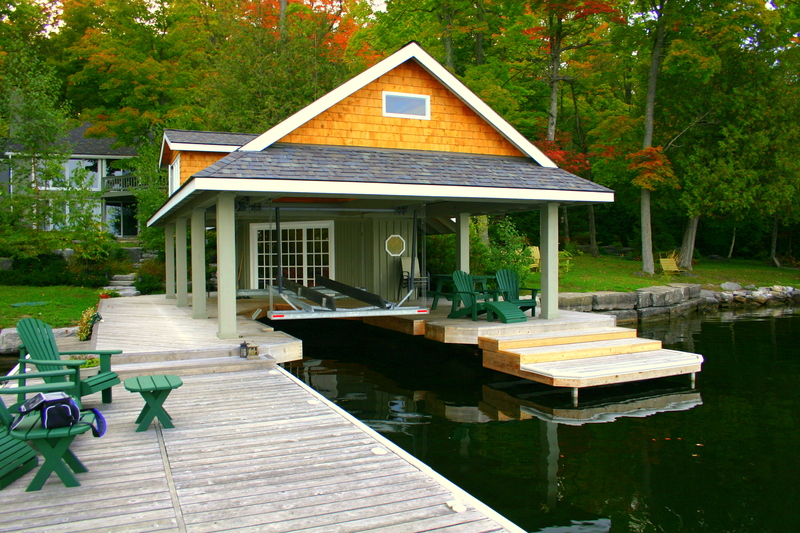 We can also supply a complete steel structure on which you can build your entire boathouse.